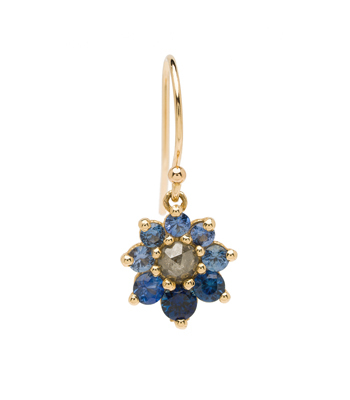 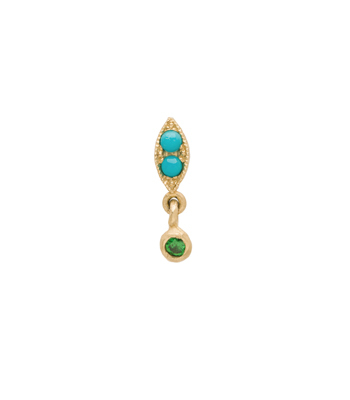 Inspired by the Georgian Giardinetti style (meaning "little garden"), our delightful sapphire, emerald, turquoise and opal set earring adds a colorful and vintage-influenced touch to any outfit. Giardinetti rings were first made in Italy in the late 17th century, designed as bouquets or pots of flowers. They were symbols of love and were given as love tokens. 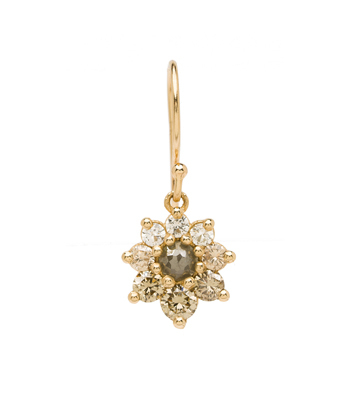 The motifs continued to be popular in Victorian jewelry, and we still love the idea of giving the gift of flowers, especially the gem-set kind.